WAIST HIGH: The Joshua Tree 2007. Twenty years after its original release, U2's The Joshua Tree has been remastered for release in a series of special formats. As well as a fourteen track bonus CD of b-sides and rarities, the 2007 release features a live concert DVD from Paris in 1987, liner notes from the band and producers, and previously unseen photos in a limited edition booklet. 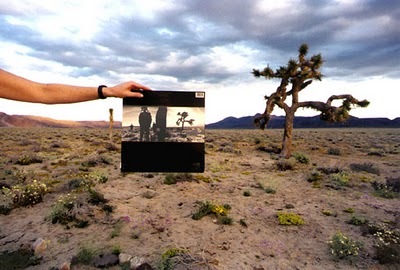 The Joshua Tree, remastered from the original analogue tapes, began worldwide release this week. In 1987, the album reached #1 around the world, won a Grammy for Album of the Year, and Time magazine put the band on its cover, proclaiming them Rock's Hottest Ticket. The album went on to sell in excess of 20 million, and remains the band's best-selling album. The Joshua Tree, produced and engineered by Brian Eno and Daniel Lanois, was the bands fifth studio album and is widely considered to be their magnum opus. "There has been continuous demand from U2 fans to have The Joshua Tree properly re-mastered," says Paul McGuinness. "As always, the band had to make sure it was right, and now it is."